Easy to Learn, Powerful, Fully Responsive and Affordable. … loading your free trial!! The all-in-one Church Database Software that empowers your organization with the most user-friendly, mobile-friendly features in the market; allowing you to customize your system to meet your church’s specific needs. Our mission is to help equip your team to maximize outreach, focus on your members, and work effectively on what matters most in your ministries. At WCC-Lite, simplicity is key, and our desire to help you grow and successfully manage your church is our top priority. Increase your church donations by offering the convenience of online recurring payments to your church members. Easily integrate the online giving form within your website and allow your givers to set up one-time, scheduled and recurring donations. Members, Donations, Communications, Assimilations, Services, Ministries and our brand new Members Portal. 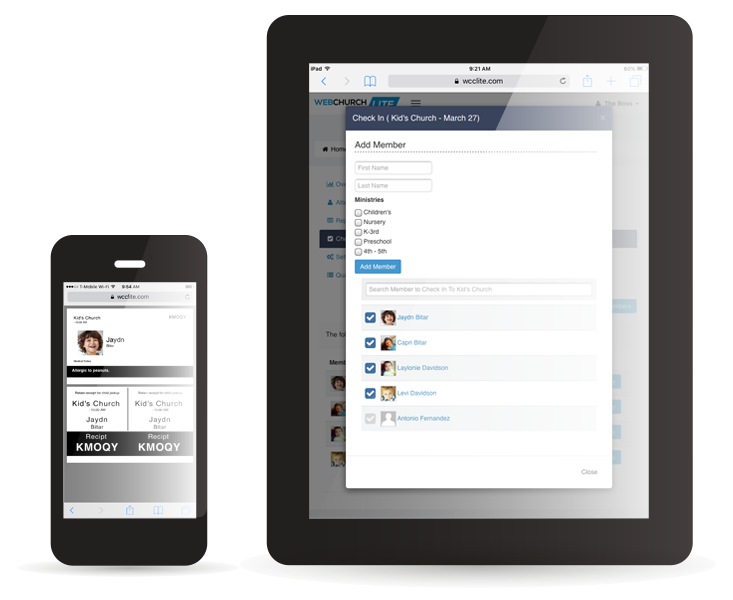 Member profiles contain personal, contact, family and household information to help you manage your members with ease. You will find all tracked and recorded attendance, as well as ministry involvement, and notes. You also have the option to create custom fields within your member profiles so you can have specific information you can filter by and search for within the member’s list. The member filters allow you to find exactly who you are looking for, and once you have your selected group of members, you can bulk email, text, export, assign to ministry, remove from ministry, update, or remove members from the database. Track total giving, manage pledges, create pledge drives, view member giving, run reports, print statements, and offer online giving to your members! Our online giving integration is simple, quick and easy to use. Once an online donation is made, you are able to merge the giving to the appropriate member so the system keeps track of who gave what. Search for specific donations, funds, organizations, amounts, batches, payment methods, and specific dates and then either edit, export, or print your results. Communication with your members via email and text is seamless and extremely convenient. Each email you send out can have your church logo, and email signature attached to it. First, create static and dynamic groups to filter out the exact people in your database you wish to communicate with, then send out bulk messages via email/text either immediately, or at a scheduled date of your choosing. WCC Lite allows you to make a lot of your communication and management of your members automatic. Create campaigns to automatically follow up with your first time visitors, new members, etc. This area in the database helps to ensure there is efficient follow-up with your people. 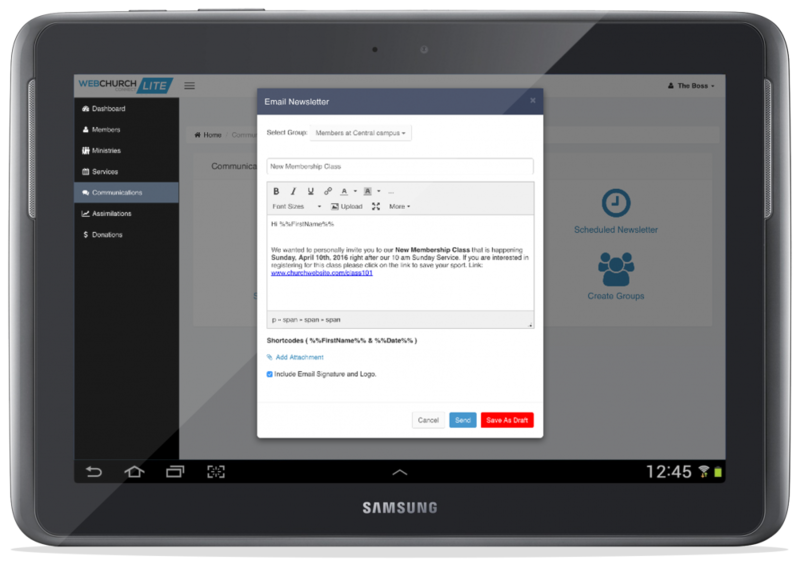 Generate personalized automated emails, texts, and letters. Check in members with ease to the appropriate service, and the system will track and record their attendance within their member profile, as well as allow you to see service details and view and print reports. Manage recurring services and one-time events, and customize dates on your Church Calendar. Track service attendance and giving, and print detailed service reports. Live check in your members, visitors, and children to any service. For child check-in, choose to automatically print off a name tag and a parent copy for child pick-up. 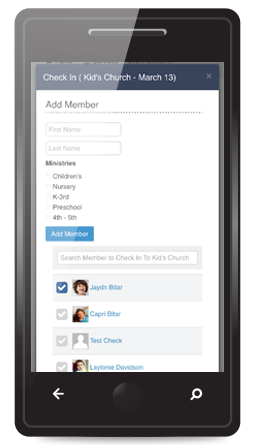 Set up your ministries and sub ministries, assign your leaders and add members to ministries within seconds. Email, Text, and Export within each ministry overview. Allow your members to access their Profile, Donations, and Services right from their personal device. This will be very helpful when you want your active members to keep their personal information up-to-date, check in their children or themselves into a service/event and print out their donation statements. 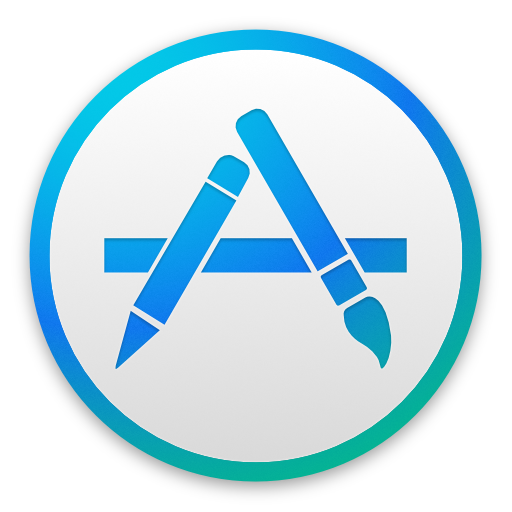 Click on the Andriod or Apple icon to download the app. Save yourself time and improve communication with your visitors, church members, and leaders by creating groups to communicate with specifically via email/text messaging. Also, set up scheduled emails and sms messages to be sent on the dates you’ve selected. Live check in your members, visitors, and children to any service or event in seconds. For child check-in, choose to automatically print off a name tag and a parent copy for child pick-up. By using our preferred label printer you will be able to print labels instantly after checking in a member(s). Very helpful when you want to make your check-in process quick and seamless. What’s the difference between WCC-Lite and WCC? Glad you asked. WCC and WCC-Lite are similar in the sense that they both help manage your church organization. 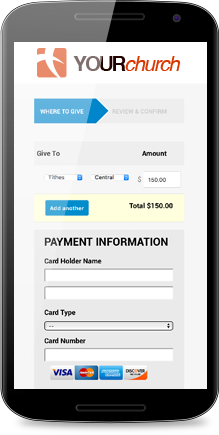 WCC-Lite has a newer interface, is fully responsive with all mobile/tablet devices, offers online giving integration, text messaging without a known service provider, and allows you to e-mail donation statements if you do not wish to print them out. Web Church Connect is a fuller version, and offers a member portal, along with additional modules. However, we are going to continue to develop WCC-Lite into a full version throughout the course of this year. Right now it has all of your essentials; Members, Ministries, Services/Events, Attendance tracking, Live/Kids Check-in, Communications, Assimilations, and Donations. Can I contact my congregation through the WCC-Lite? You sure can! WCC-Lite has made it even easier to communicate to your congregation with no problems or complications. You have the ability to email and sms message your members with just a few clicks. Can reports be printed in pdf format? Yes. Throughout the database, each module has the ability to export pdf, excel, and csv reports to be printed out. Yes. We offer training tutorial videos, as well as manuals, webinars, live training, and unlimited live customer support. Absolutely! Our WCC Team is always here to give you the support that you need. Does WCC-Lite back up our information? WCC has a backup system in place that backs up your information every day, every week, and every month. How many users can access the software at one time? There is no limitation as to how many users can access the database at one time. How many profiles can I have in WCC-Lite? Is there a WCC-Lite APP? Not yet. Luckily our database is so responsive that you are able to access it on any device. We are diligently working on releasing our WCC-Lite App for your members for both Android and Apple devices. Click on the Android or Apple icon to download the app. How Secure is my data? Will my information be given to any third parties? Your information is 100% secure. Your information will remain private and will never be given away or sold to third parties. What label printer do you recommend? We recommend the affordable Brother QL-710w label printer, as it offers wireless printing for Apple devices. Very helpful when you want to have Check-in Kiosk(s) for your members. What internet browsers can I use? All of them. As long as you have an internet connection on your device then you will be able to access WCC-Lite. Is there an additional cost to have online giving for our members? Yes. Our preferred vendor offers competitive pricing to offer your givers the ability to set up one-time, scheduled, and recurring donations. Test all the features before you activate your account. One low monthly price For Everything. Unlimited users and members entered into the database. No restriction…we help you grow! Or fill out the Sign Up form and we will contact you soon.